You cannot see insulation in a finished home, and what you cannot see may cost you a lot of money and have a tremendous impact on your comfort. While much standard insulation does an adequate job of keeping your home cool, if it is less efficient, it will increase your need for air conditioning, which will add to your electric bills. 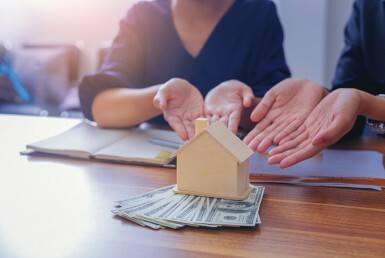 Upgrading from regular insulation to something that is more energy efficient may cost more initially, but will pay for itself over time with savings from cooling and heating costs! 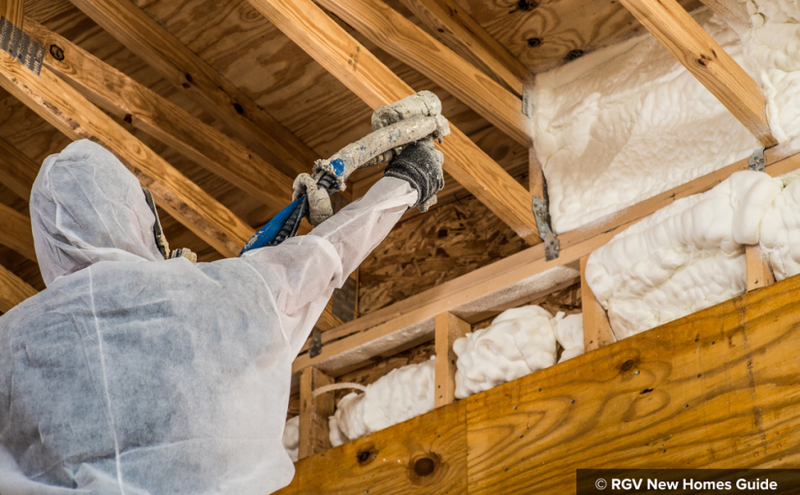 Choosing the right insulation is critical in the Rio Grande Valley—located in U.S. climate Zone 2, which has some of the hottest temperatures in the country. It’s not easy to select the right insulation. Cost and code-required R-Values are two major factors to consider in choosing insulation for you home. Too often, however, cost becomes the deciding factor without taking into consideration that a more expensive insulation, like spray foam for example, may cost more initially, but its “payback” will increase your cash flow from added savings on utilities every month for years. Work through this guide with the help of a certified Home Energy Rater to find an affordable and best energy-saving option for your space. Then be sure to select an expert contractor, one, for example, who is familiar with BUILT TO SAVE™ standards in order to ensure the work is completed professionally. Even more important than choosing the right insulation is choosing the right contractor. Insulation performs the way it is supposed to perform only if it is installed properly. That includes superior insulation like spray foam. Proper installation is especially critical if you are installing the less expensive batt and roll insulation because these products lose their insulation effectiveness if not installed properly. For example if the installer forces the batt insulation behind or in front of electrical wiring along the wall cavities, this will flatten the insulation, which diminishes its R-value considerably because it loses its thickness. So what is the best way to make sure your insulation contractor did the job right? It’s easy—look for a home that is certified as a BUILT TO SAVE™ home. A home with the BUILT TO SAVE™ certification was inspected by a third-party home energy rater and verified during the insulation stage to guarantee that the insulation, regardless of the type, was installed correctly. Without this certification of high performance, you won’t know for sure unless you tear down walls and see for yourself. It is important to know that just because a home passed its city inspection, this does not guarantee that the insulation was properly installed—only that the R-values are correct. If you insist on buying a home that does not have a BUILT TO SAVE™ certification, inspect less accessible areas—especially in the attic—to make sure they weren’t overlooked. Don’t rely on anyone’s word for it. If you have concerns about insulation after your home is built, it is possible to hire a home energy rater licensed to do infrared photography. Chris Carroll of Carroll’s Inspectors is a Level 1 Thermographer offering that service in the Rio Grande Valley. Robert Salinas, Jr. established VES Insulation in the Rio Grande Valley over 10 years ago. Today, this family-owned business, operated by Robert and his two sons, Rob and Andrew, has earned a reputation as the “go-to” place for effective and affordable insulation. VES Insulation offers both standard fiberglass insulation as well as the superior spray foam insulation utilized for maximum R-value and performance. The company also offers sales and installation of insulated garage doors featuring effective R-values, bottom weather seals, and pinch-resistant panels. VES Insulation can help you decide what your best option is for insulating your home or office. Visit http://www.valleyenergyspecialist.com. (L to R): Rob Salinas (Sales Manager), Robert Salinas, Jr. (Owner), Andrew Salinas (Operations Manager). The following is a “quick guide” for the variety of insulation products available today. 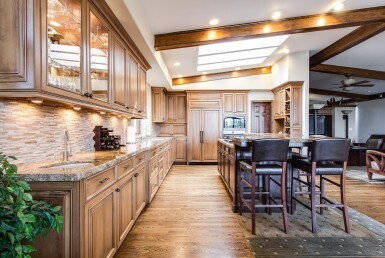 Rely on professional vendors to offer recommendation for what is best for you. Contact these reputable vendors for expert advice: Matt’s Building Materials; Zarsky Lumber Co.; Valley Energy Specialists. Fiberglass: This is the most common type of insulation used in new homes today. It comes in two forms: batt or fill. Large batts look like thick blankets which are cut to size and then fitted between framing. Loose fill insulation is usually blown into place and looks similar to cotton candy. Pros: It’s easy to install and very affordable. It also resists fire and water damage. Cons: The fibers can irritate skin and lungs during installation. Though it is cheapest to install, it will cost you the most in electricity expenses. Use for: walls, ceilings, floors. Rock Wool (mineral wool): This is fiber insulation that is made of recycled textiles. It looks similar to dryer lint. Like fiberglass, rock wool insulation comes in both batt and blow-in loose-fill form. Pros: It is more fire resistant than fiberglass and is slightly easier to install, as well. It does not irritate skin like fiberglass insulation. Cons: It is more expensive than fiberglass insulation and somewhat less available. This type of insulation can be dusty and may irritate lungs during installation. It is also prone to cake (and potentially mold) when wet and will settle over time. These problems will lower rock wool’s ability to insulate your home. Cellulose: This is a paper-based insulation and is usually made from recycled materials. It is treated with chemicals to resist moisture and pests. Cellulose insulation comes in a loose-fill form which is fluffy and is blown in during installation. Pros: This insulation works for all temperatures, though is ideal for colder climates. It does not irritate skin nor does it cause lung problems related to dust. Cons: It is very heavy, which means it is not a good choice for most attics and requires additional reinforcement if used in ceilings. Like rock wool, it will settle over time, which will reduce its insulation capabilities. Use for: enclosed walls, cavities, ceilings, unfinished attic floors. Structured Insulated Panels: This rigid foam insulation, known as SIP, comes most commonly in the form of 4’ X 8’ sheets. While more expensive, this type of insulation offers advantages in exterior wall sheathing and attic hatches. The R-values per inch of thickness are more than two times higher than other types. Pros: These are lightweight and very easy to install. They offer high R-Values, with polyisocyanurate SIPs providing the best insulation of any type by thickness. Cons: These are generally more expensive. They must be cut to size to fit around pipes and framing. This can result in insulation gaps, though the gaps can be filled with other types of insulation. Use for: walls, ceilings, floors, roofs. Spray Foam: This is a type of plastic insulation (either open-cell polyurethane or closed-cell polyurethane) that is applied in liquid form. It is sprayed into spaces where it expands and sticks to surfaces. This forms a tight air seal, preventing heat transfer through gaps, cracks, and other building structures. Any excess can be cut away once it has dried. Spray foam insulation must be installed by qualified contractors such as VES Insulation. This family-owned Valley business offers the most energy-efficient insulation options with expertise in spray foam insulation. Pros: By far, the most energy efficient insulation to easily achieve a high performance home certification like BUILT TO SAVE™. Forms a tight seal to completely prevent the movement of air. Its high R-Values offer superior insulation. It can also reduce the need for other weatherizing such as caulking. Cons: It is more expensive than loose-fill or batt insulation types. Requires proper ventilation system to avoid moisture or mold problems. Radiant Barrier Insulation/Radiant Barrier OSB: This is a type of reflective insulation that reflects heat (radiant heat), preventing transfer from one side to the other. Radiant Barrier Insulation is available in rolls and can be applied to the rafters in the attic. A more popular product is Radiant Barrier OSB (decking). Radiant Barrier OSB is also known as flake board. This roof decking, which has a shiny (reflective) side, reduces attic temperatures from 20% to 30% and is only about $2 more per sheet than regular decking. Pros: One of the least expensive ways to reduce your monthly utility bill and pays for itself in a few months. Reflects up to 97% of the sun’s heat. Does not require additional labor for installation. Every BUILT TO SAVE™ home undergoes an “onsite” visual inspection after the insulation is installed and before the walls are put in. A third-party inspector completes a Thermal Bypass Checklist and either passes or requires corrections in the insulation installation before the builder can proceed with putting the walls up. Final testing after the home is completed guarantees that the home meets the “above code” requirements of a BUILT TO SAVE™ program. The BUILT TO SAVE™ Leading Energy Efficient Builders are a select few who go above and beyond what is required by code to make sure you—the homebuyer—are getting a home guaranteed to outperform a similar home built to minimum code standards—a home that will not only save you money on utilities, but will also provide the comfort you expect from a new home.